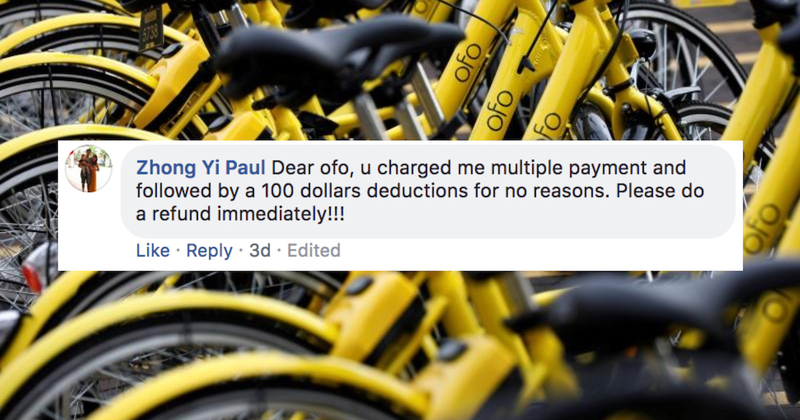 Ofo Singapore Users Complain Of Unauthorised Transactions - One Was Charged $100 "For No Reason"
Just last month, oBike was called out for “secretly converting” users’ $49 deposits into its 1095-day Super VIP (SVIP) Membership subscription. To add fuel to the fire, oBike users couldn’t refund this forced purchase and the local bike-sharing company have since exited the Singapore market. Fast forward a month later, users of another bike-sharing company ofo has been experiencing similar problems. On both online forum Reddit and ofo’s Facebook page, users have posted complaints of errant charges found in their bank accounts. ofo is apparently aware of these complaints but did not clarify why and and how these authorisations took place. Its only response is that their customer service team is currently in talks with these affected customers and that they will ensure that the refunds will be credited back to their bank accounts within three to five working days. 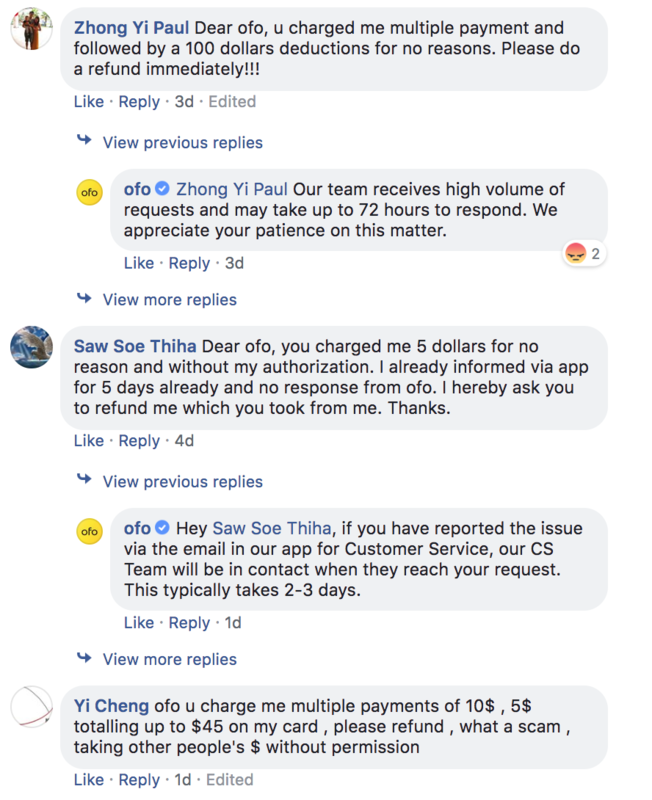 On Facebook, ofo said that they have been receiving a “high volume of requests and may take up to 72 hours to respond”. One user however, has rebutted that the team has taken longer than the stipulated response time. In any case, customers who experience these deductions should first check if they are on an auto-renewal pass. Otherwise, you can email ofo’s customer service team at cs_sg@ofobike.com, or drop them a Facebook message with your mobile number tagged to the account.